Varun Dhawan starrer October directed by Shoojit Sircar was never expected to set the Box Office on fire from Day One itself. Not just was it released on a controlled count of screens, it was also set to be a slow starter. Still, even in an average case scenario, the film was looking at a 7-8 crore opening at least. That hasn’t happened though, what with the numbers turning out to be much lower at 5.04 crore. This is a rather unpleasant surprise since with Varun Dhawan’s star power in there, one still expected a reasonably decent opening. However, the footfalls stayed low right through the day and it was only towards the evening and night shows that things improved to a little extent. As a matter of Shoojit Sircar’s last directorial outing Piku had collected 5.30 crore on its first day while even his Madras Cafe had opened better at 5.23 crore. Varun Dhawan Has A SPECIAL Message For Every One Of Us! A lot needs to change now for the film today and tomorrow so that there is at least a respectable weekend on the cards. 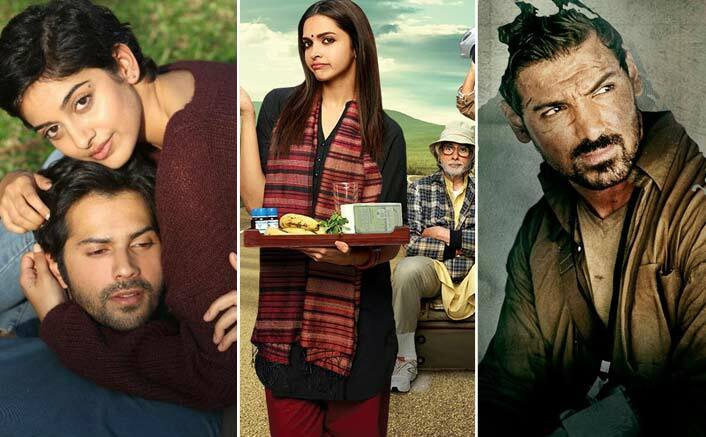 Though the combination of Varun and Shoojit warranted a 25 crore weekend at the least, now even a 20 crore weekend would be required to set it up to some extent for the weekdays. Anything less than that would practically mean curtains for the film in quick time. The post Box Office: Shoojit Sircar’s October Opens Lesser Than His Piku & Madras Cafe appeared first on Koimoi.